Developed by Mopar®, the integration of the Waze and “Panda Uconnect” apps enables drivers to dodge traffic and find the best route, with the aid of advice from the community, shared in real-time and with immediate adaptation of the route planned, in addition to many other functions. Fiat Panda has been Europe’s best-selling city car continuously for the last 14 years. 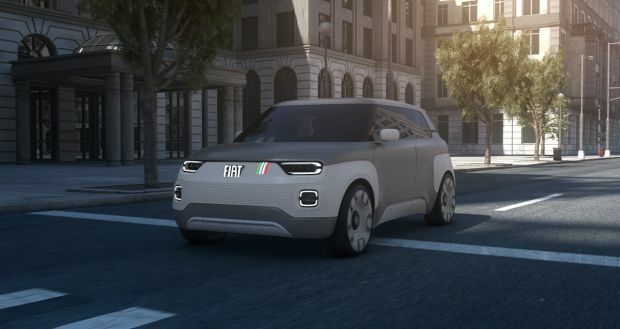 When the most popular model in the Fiat range meets the world’s most social navigation system, the result is the Panda Waze – the technological gem which continues the model’s mission: to make the smartest solutions, simplify and improve life at the wheel, while being affordable for all. The new Panda Waze special series is the first city car in the segment to integrate the famous Waze navigation app with the equally well known “Panda Uconnect” app, allowing them to be used simultaneously, switching between them with just a touch on your smartphone display. 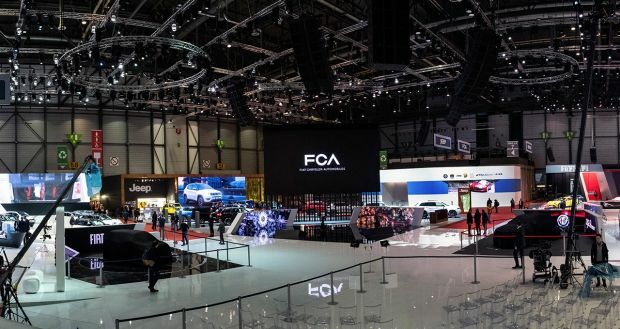 This digital combination was developed by Mopar, the FCA brand that handles after-sales products and services for the Group’s cars, and means drivers are free to focus on their driving, while still enjoying a vast array of services. There’s no doubt about it: Panda Waze is the ideal car for escaping the daily grind for urban adventures, sharing photographs, travel advice and driving experiences. The new Panda Waze is also the meeting of two vast communities: the 7.5 million Fiat Panda fans who have chosen the car, from 1980 to the present, as in the manifesto of “freedom on four wheels”, and the more than 100 million connected Waze users worldwide, who actively collaborate by sharing real-time traffic information for the smartest possible travel. The new Panda Waze special series marks a major step forward in infotainment with the integration of two unique smartphone apps: Waze and “Panda Uconnect”. In the digital era, huge amounts of data must be exchanged in real time and monitored using connected devices and user-friendly interfaces. So now drivers will only have to fit their smartphone into the holder provided on the dashboard and set off, connected and safe at all times. Waze is the navigation app that lets drivers avoid jams and save time during the daily commute and beyond. Millions of motorists, united in a vast community, cooperate every day by reporting traffic conditions in real time – enabling the Waze navigation app to find the best routes. The app is always able to recommend the fastest route based on data provided in real time by more than 100 million people. From traffic information to details of the filling stations with the lowest prices, Waze is a reliable travelling companion for “surviving the daily urban adventure”. The Waze navigation is integrated in the “Panda Uconnect” app – Android and iOS platform – which allows the driver’s telephone to be used as an extension of the car, interacting directly with the device display to access all infotainment functions: switching radio stations, selecting playlists, adjusting the volume, managing calls and texts, and checking your diary or the weather in real time. The “Panda Uconnect” app talks to the on-board infotainment system, which includes Bluetooth 2.1 technology, audio streaming and the voice recognition function and handles data reading via USB and MP3. The Panda Waze integration allows the apps to be used simultaneously: with “Panda Uconnect” on the smartphone, Waze navigation appears in a box on the screen, with route instructions and the estimated time left to destination. Naturally, the reverse is also possible, with the Waze app in the foreground and “Panda Uconnect” as an icon on the screen. What’s more, if fuel is running out or low tyre pressure is detected, an alert will appear on the smartphone display and the user can decide to select one of the best-priced filling stations or choose from the nearest workshops offered by the Waze app; they just select the destination of choice and the navigator will suggest the best route for getting there. In addition, thanks to a new “Panda Uconnect” app, photos and videos shot on board the new Panda Waze will be saved in the driver’s smartphone gallery, ready for sharing with friends: yet another original way of experiencing journeys of all lengths, with the certainty of innovative services and a smart, social navigation system. Last but not least, the Panda Uconnect app also features the “Find myCar” service, to help drivers to remember where they parked, and “My Car” for checking the car’s parameters, such as scheduled services, and consulting the owner handbook, as well as direct calls to Fiat Customer Care or roadside assistance. Finally, if activated the “Object Reminder” function reminds the driver not to leave things in the car after getting out. The new Panda Waze features the Cross look and will appeal to anyone who shares its social-media language – particularly Millennials. This new target want their car to provide the maximum connectivity and a distinctive style at an affordable price. On the outside, the Panda Waze is identified by the “Waze” logo on the front bumpers. Its urban, dynamic personality is also underlined by the black details, including the side mouldings, the side mirror caps, the roof bars and the door handles. The external look is completed by the 15″ wheels with a new burnished finish. The same youthful, dynamic imprint is found on the inside, where the new seat upholstery makes an attractive match with the new titanium grey colour dashboard. The lavish standard outfit includes Bluetooth radio and dashboard smartphone holder, climate control, 4 airbags, ESC with Hill Holder, tyre pressure sensor, centralised locking with remote control, front head restraints with whiplash prevention system and adjustable height steering wheel. Available with 1.2 69 HP petrol engine. The New Panda Waze confirms the model’s ability to create fashions and deliver technological firsts for its segment. 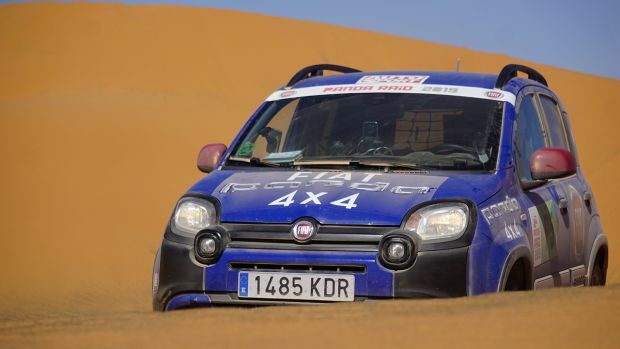 For example, as well as being the first city car with 4WD, the Panda was also the first car in its segment to receive the coveted “Car of the Year” title (2004), and in the same year, it was also the first city car to climb to an altitude of 5,200 metres, at Everest base camp. 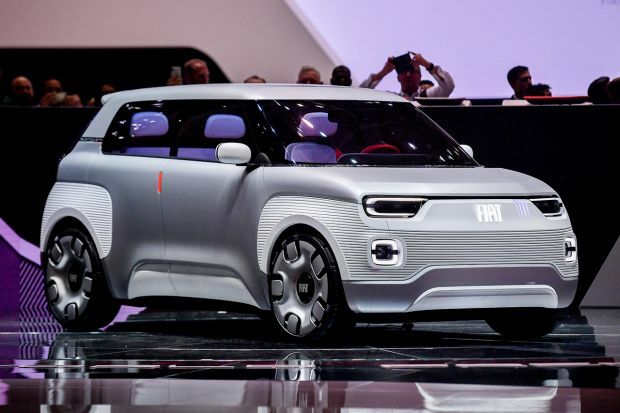 And the long series of records continued in 2006 when Fiat Panda became the first natural gas fuelled city car to be produced on a large scale. It has been Italy’s best-selling natural gas car every year since its launch, and its cumulative sales from 2007 to the present are also the highest Europe-wide. And today it is the first city car to bear the Waze name, integrating the app functions in its infotainment system. 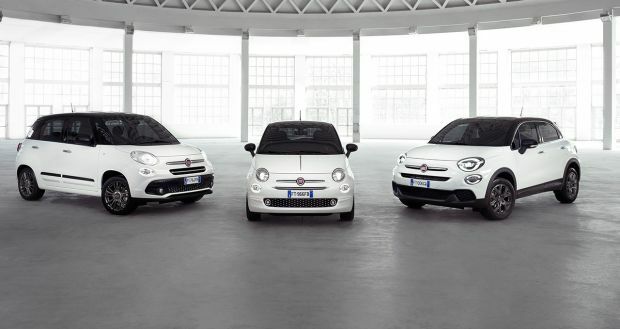 The Panda Waze special series expands the range of the city car which, together with Fiat 500, has been European best-seller since 2003. 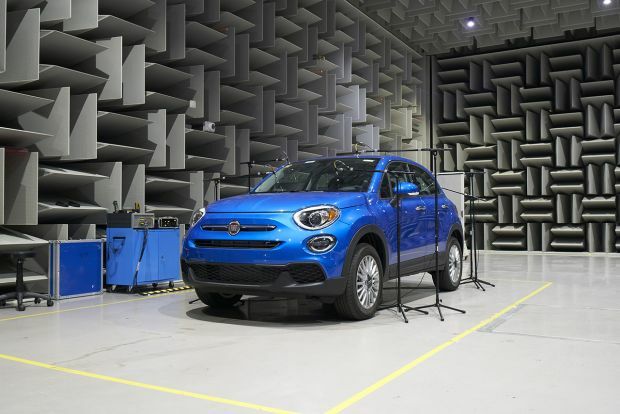 A leadership also confirmed during the first quarter of 2018, when Panda and Fiat 500 headed their segment in Europe with a market share of 28.4%. 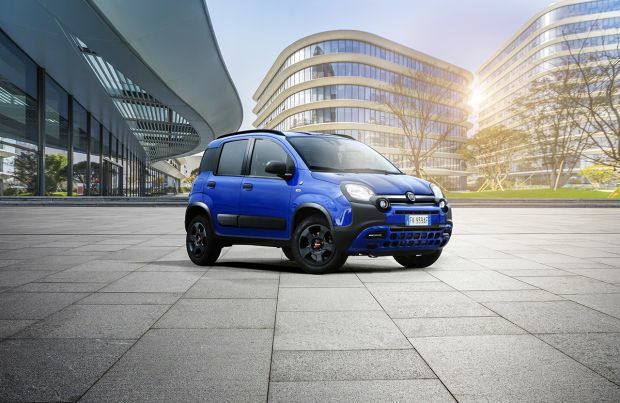 What’s more, Fiat Panda is absolute leader in Italy and Greece, as well as being in the top three in Spain, Portugal, Austria and Switzerland.